Boast your grill skills with this King of the Grill Men's Cooking Apron. 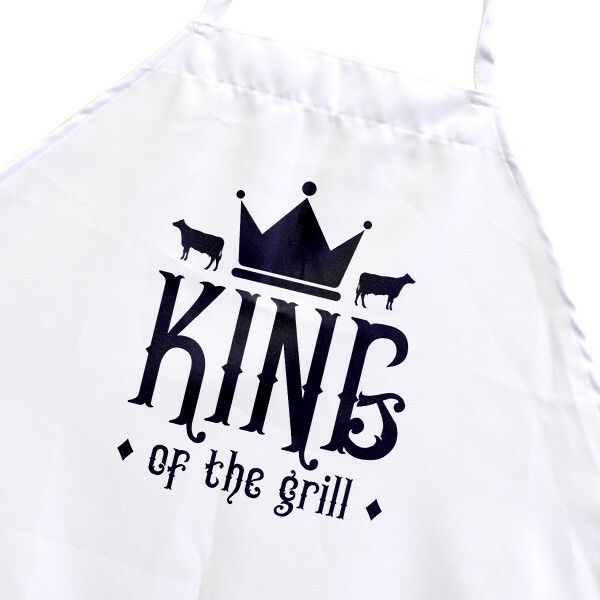 This stock design "KIng of the Grill" apron puts your pitmaster skills on front and center display. Whether you're treating yourself to this fun and functional grilling accessory, or giving it as a gift, it's the perfect accessory for keeping clean and looking cool while doing it! Order now and it ships in 3 business days.